As the year winds down, we have to do some end of the year classroom clean-up and prepare our classrooms for Summer cleaning. We have to remove everything from our walls, bulletin boards, shelves, and countertops. Everything gets shoved into cabinets and closets. I put my students to work the last few days of schools to help me tear down the room. They think it is SO much fun to help and it helps me get everything back in its spot and ready for the next school year. 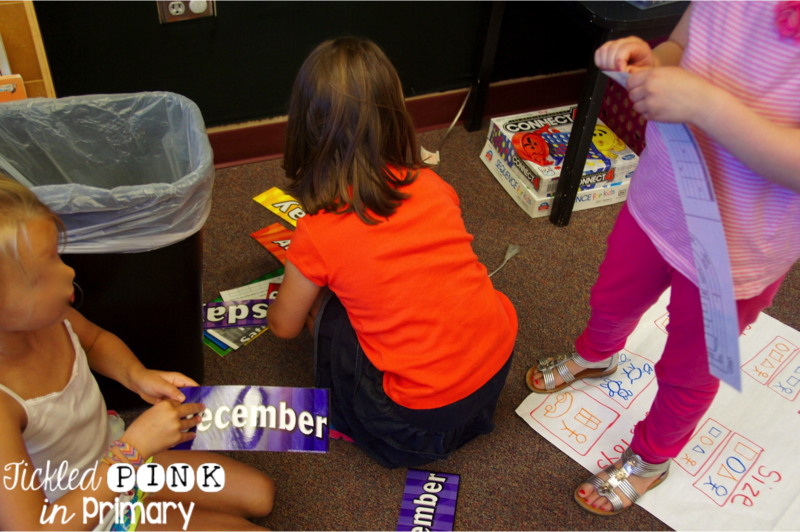 Students are put into small groups and given an “organization task”. I take everything off the walls and then students take out the staples. I also have them sort the cards back in order by letter, number, month, etc. 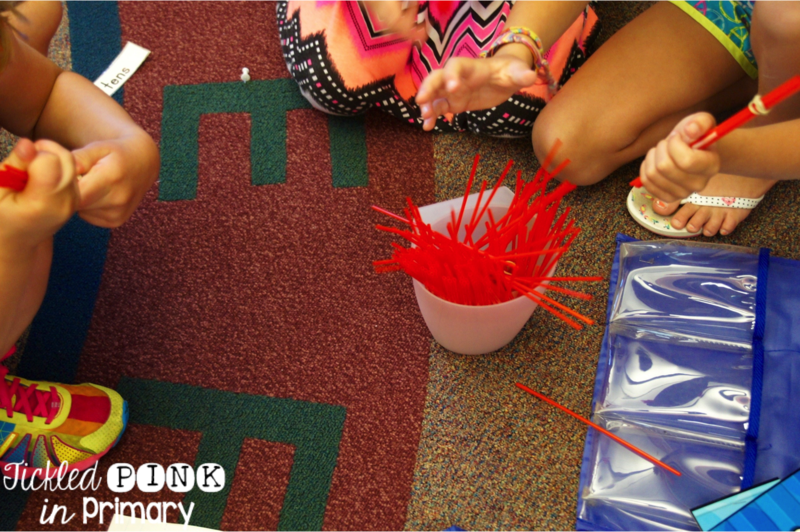 As we tear down our math wall, students help un-bundle our straws we counted all year long. 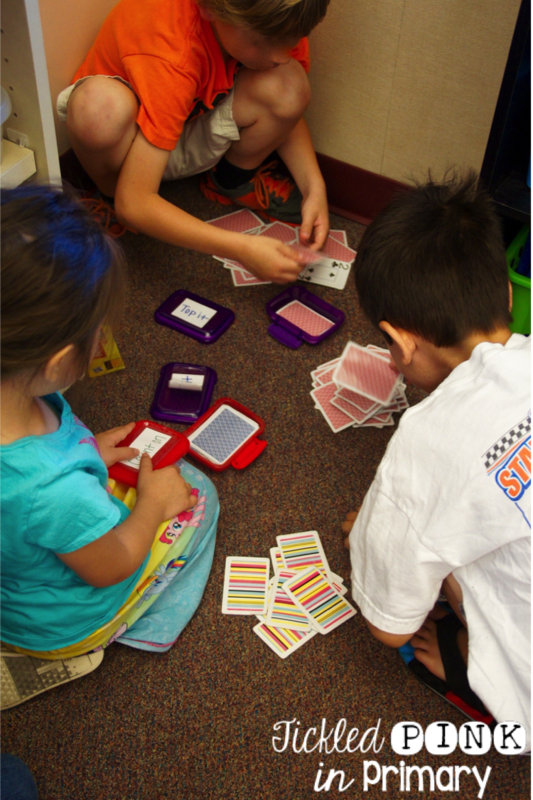 Have students work on sorting cards back into the correct container and they can tell if you if you don’t have a complete deck. 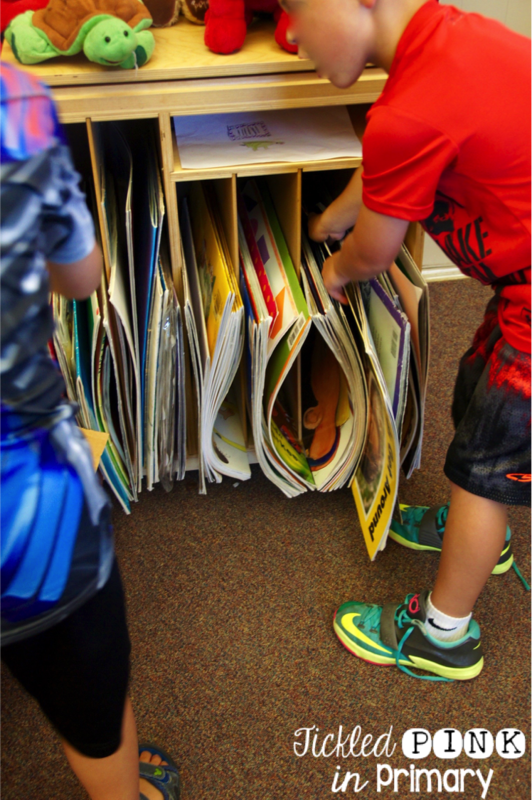 A must-do classroom clean-up we do, is to make sure our books are in the correct basket and that they are all facing the same way. 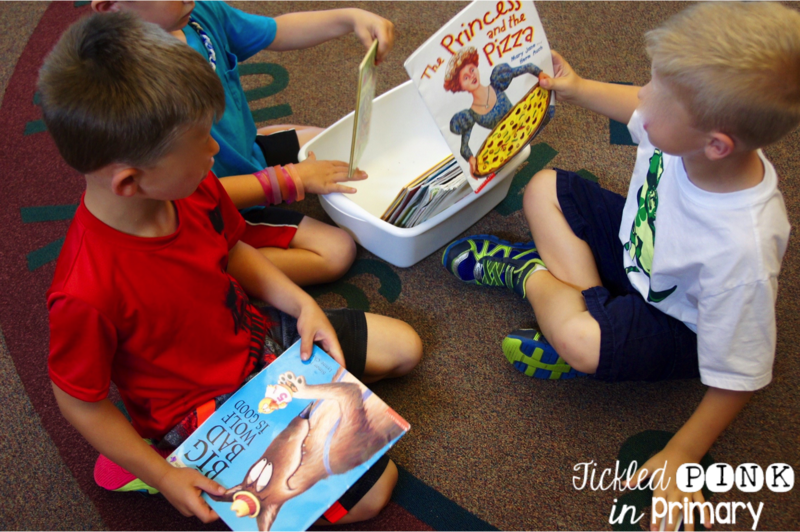 We received new Big Books, so they are helping put them away for Summer. 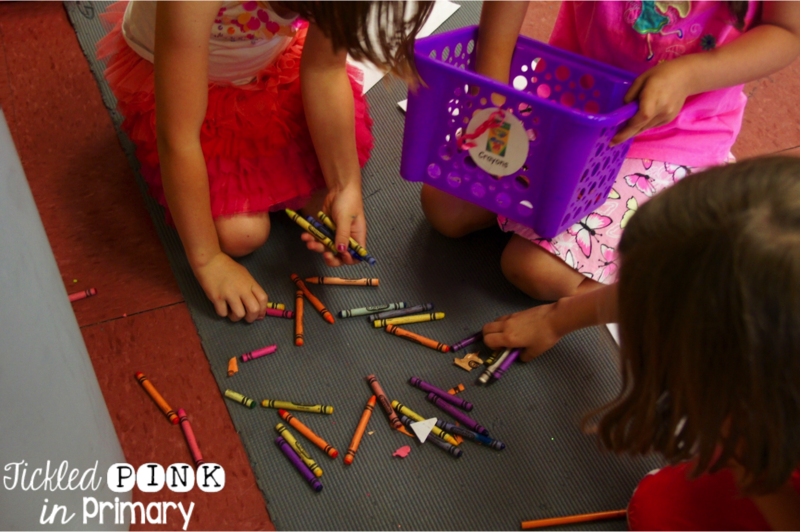 The art center can become a mess throughout the year, so students are throwing away tiny crayons, markers that don’t work, bad glue sticks, etc. The biggest mess is when we organize our puzzles. 🙂 I have students work in groups to put the puzzles together to make sure we have all the pieces. 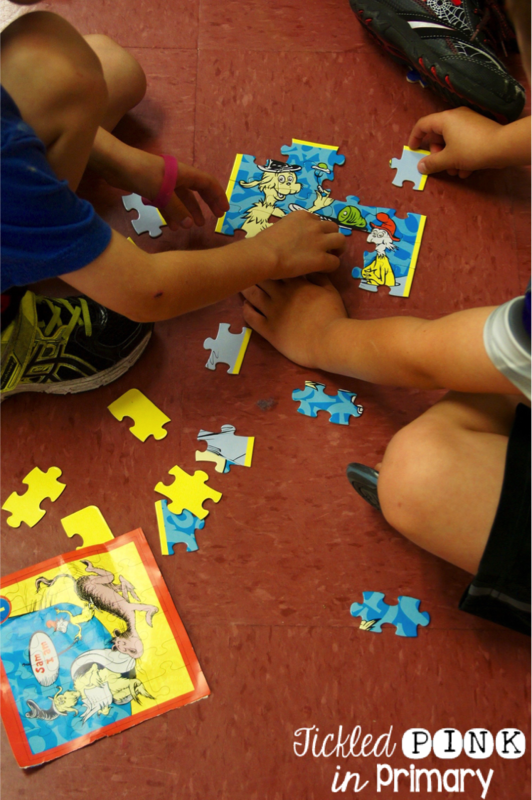 Once each group finished their task, they help on the mess of puzzle pieces! By having them help, it saves me a lot of time, and helps me know what I need to re-stock up on for next year. 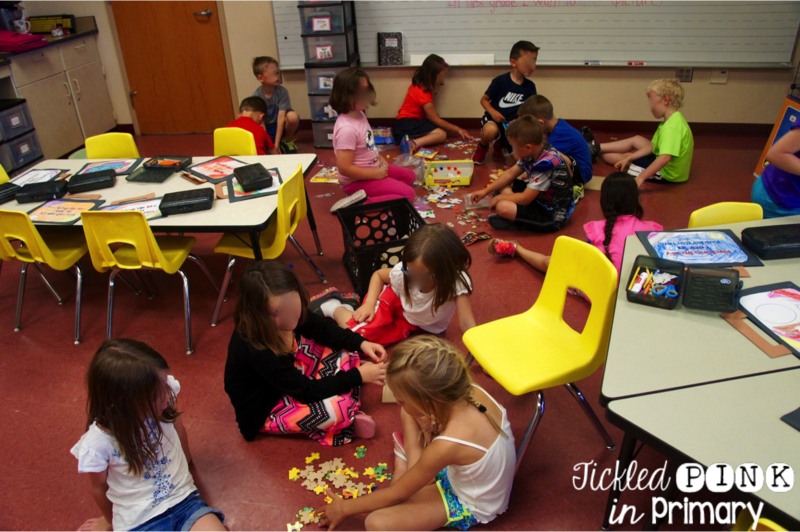 If you need some activities for the End of the Year to keep your students engaged, check out my End of Year Review Fluency and Fitness® and Fluency Find It sets! 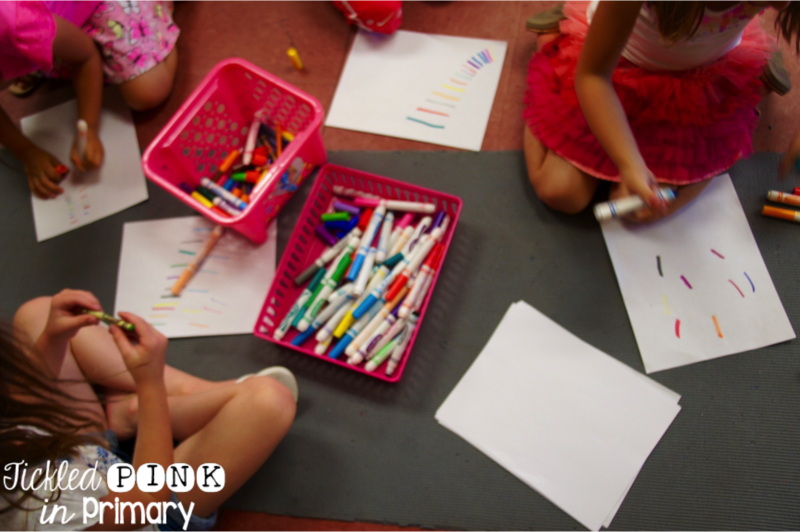 I love how you have your kiddos organize for next year. My kiddos do it too! I wanted to let you know that I nominated you for the Liebster Award. You can read about it on my blog @ http://porcupinepals.blogspot.com/2015/06/im-thankful-for-past-year.html. Thanks Tina! I was actually nominated for that award last Fall, but I appreciate you nominating me! !